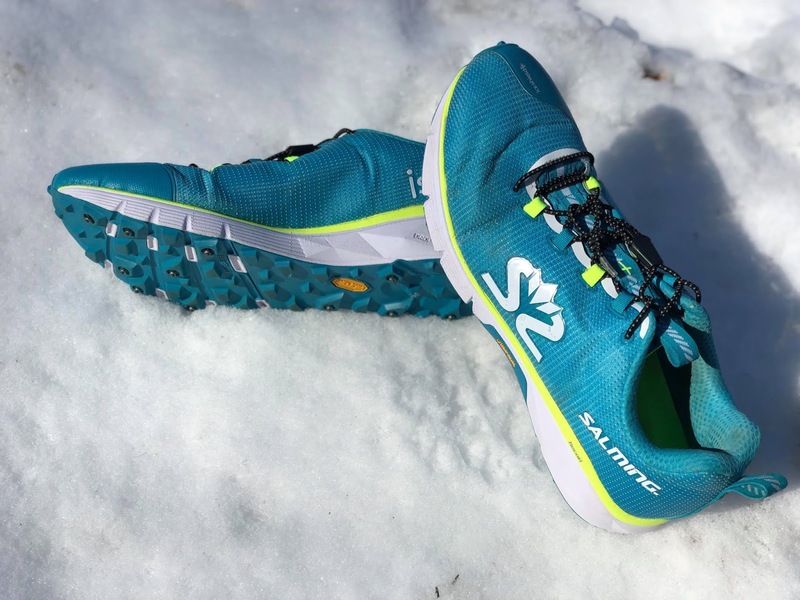 this shoe addresses each component of the Salming "Rule of Five." lateral aspect of my fifth metatarsal, but has broken in nicely and provides a secure mid foot fit. heel slip on uphills or off-camber. and will not flatten out prematurely. "Vibram Megagrip Litebase is outstanding." balanced on foot, especially for the traction and protection it provides. noticeable in hand, but not as much on foot. 5. COMFORTABLE ANATOMIC FIT: As noted above, the iSpike is roomy in the forefoot. my narrow hindfoot. Overall, the proportions are reasonably anatomic. place in my winter kit going forward. Disclaimer: Ispike shoes were bought for Marks own money. Review was written after 100 miles and reflects Marks thoughts of the shoe. 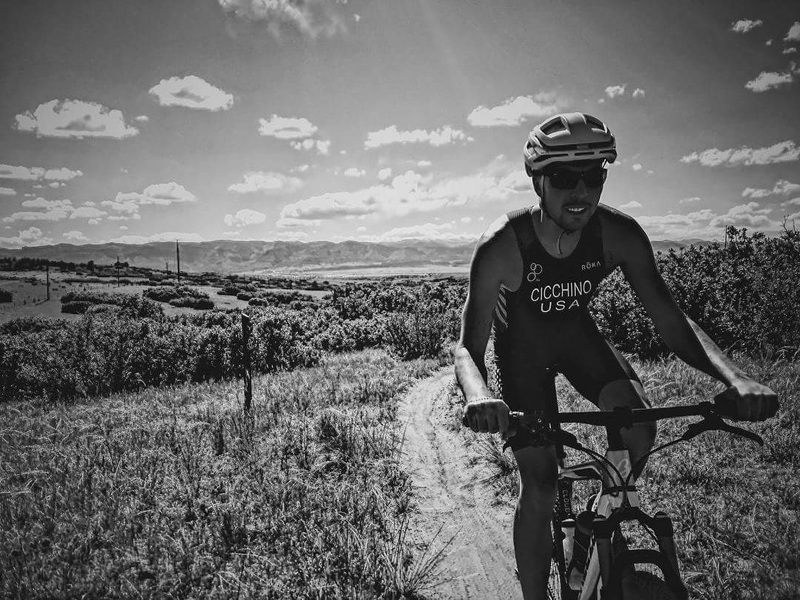 LOUIE CICCHINO IS AT THE MOMENT PEAKING FOR ITU CROSS WORLDS CHAMPIONSHIP IN DENMARK. 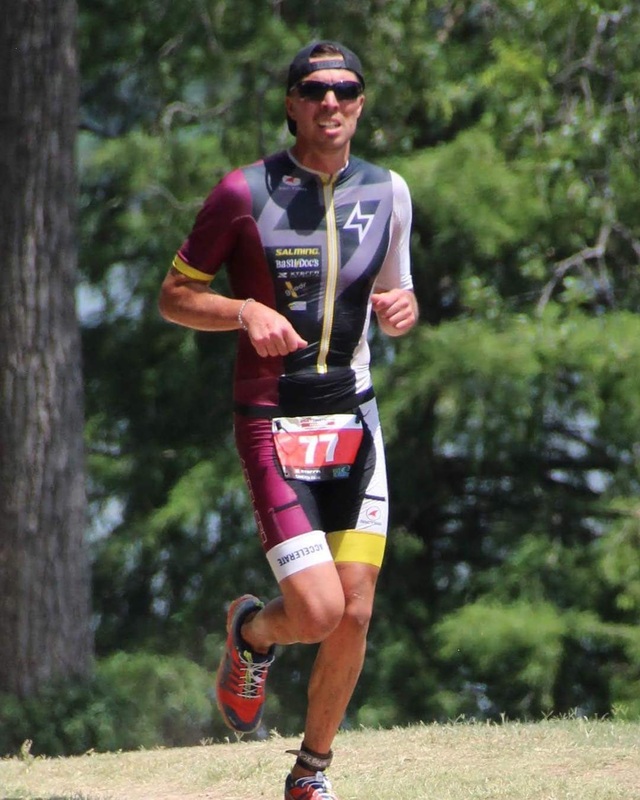 HERE LOUIE TELLS US ABOUT HIS , SALMING AND HIS COACHING SERVICE ACCELERO ENDURANCE! WHEN AND HOW DID YOU START WITH TRIATHLON? I remember being a kid and watching the Ironman World Championships at a friends house. We made a pact to do one when we grew up. Fast forward 12 years after I was a semi-pro snowboarder, I’m in school commuting by bike, swimming/running to stay in shape. I thought to myself “what better time than NOW to do one?” I completed my first 2 races on a fixed gear bike and where I made the podium in each so naturally my competitive nature became hooked. WHAT'S YOU FAVORITE DISTANCE AND WHY? 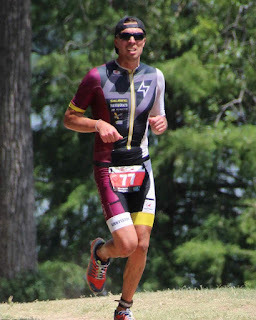 I love the challenge of all distances but my favorite is the short distance Xterra races. They equate to an on-road olympic effort but you’re redlined while screaming through the trails, and the placing comes down to who can suffer more. 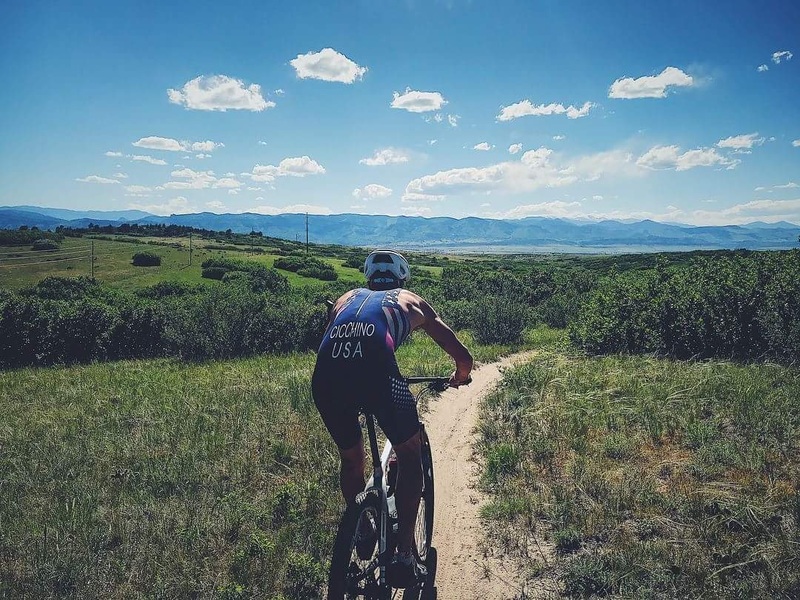 YOU RECENTLY RACED USAT OFF-ROAD CHAMPIONSHIP, TELL US ABOUT THE EXPERIENCE AND WHAT YOU LEARNED FROM IT? Ohh man, that was really disappointing. We’ll start with the lesson of this race, off-road racing is a battle of attrition. I went into that race with my fitness and bike handling skills dialed in. I failed to check my bike the morning of when I set up transition and was having shifting issues the whole bike. Through the first 9 miles of the bike I only had my 4 highest gears, by the last 4 miles I was only left with my highest gear. This forced me to grind my pedals the whole ride, and run a large portion of the uphills, this combined to really take a toll on my legs and I felt it on the run. Through the bike I was going back and forth in 4th, 3rd, 2nd and refused to give up or DNF. I forced myself through the run on fatigued legs, and it took me to the second lap to finally find my running legs for a negative split. I came across the line in 3rd and although I’m happy to take a podium spot at the National Championship, although I’m disappointed to not be wearing the champions jersey but the lesson learned be instilled in my racing for the rest of my career. YOU'RE GETTING CLOSER TO ITU CROSS WORLDS, WHAT'S YOUR GOAL AND EXPECTATIONS? My goal in every race is to leave everything on the course and I’ve invested the past 9 months of training to be prepared to race in Denmark. It’s difficult to have expectations for a race but I expect myself to be at the peak of my fitness and to bury myself deep into a hole by the time I cross that finish line. The 2 weeks after the race my wife, her family and I will be exploring parts of Europe. I really want to be happy with my effort so I can ease my mind and enjoy the trip. ANY OTHER GOAL RACES DID YEAR? The past few years I’ve learned it’s difficult to invest time/resources into your own races when you coach and want to see your athletes be successful. After Denmark, I’ll race some local races and maybe head to Xterra Ogden but my main focus is to for my athletes to have successful seasons. CAN YOU EXPLAIN HOW A TRAINING SCHEDULE LOOKS LIKE? WHAT ARE THE KEY COMPONENTS? HOW MANY MILES DO YOU RUN/SWIM/BIKE A WEEK? This is a great question, my first consideration in planning an athletes program is what works for them and their schedule. I could write an exceptional program consisting of 12 hours/week but if an athlete only has time to train for 8 hours or the physical capacity to train 8 hours that 12 hour program will wreak havoc on their body, social and psychological well being. It’s imperative as a coach to understand an athletes life/work/training balance. I program everything off of time, as distance can vary with training on trails. My training weeks looks about 4-5 hours of swimming a week, 9 hours of cycling a week, and running I’m about 10 hours. I like to pile up my runs because it translates over to cycling but it doesn’t work vice-versa. It’s kind of a bummer because I have yet to do this workout because it doesn’t benefit my prep for Denmark. My favorite workout is a terror of a brick that I call the Zorro’s Brick and consists of 2 mountain bike loops around Green Mountain which is a 9 mile loop and just under 1200 ft of elevation gain per lap. Then from the GM parking lot I run across the street to a 1 mile zig zagging switchback trail straight up a hogback, it consists of 400 ft of elevation in that mile. I’ll repeat that trail a few times to get ready for course with a ton of climbing (Beaver Creek, Ogden). My goal is to not only prepare myself physically for worlds but to prepare myself psychologically for this event. I’ve been reading up and using meditation practices during training to prepare myself for this. I’m secretly my own worst athlete, I hardly record workouts and or analyze my own data. Instead I keep a log in my head of my splits during quality workouts so I can tell if I’m progressing or regressing. I consult with a close friend of mine who was in my program (Exercise Science) in college. We chat about once a week about what I did that week and what I’m expecting for the next couple of weeks. It’s worked great for me the past 2 years. CAN YOU TELL US MORE ABOUT YOUR COACHING SERVICE ACCELERO ENDURANCE? 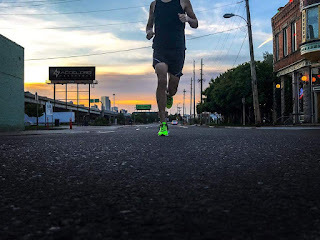 I’ve been coaching endurance athletics for more than 4 years and before thats I was a sports performance specialist working with rehabbing athletes. About a year ago I launched my own business called Accelero Endurance. I primarily work with pretty seasoned athletes who are ready to take their training/racing to the next level. 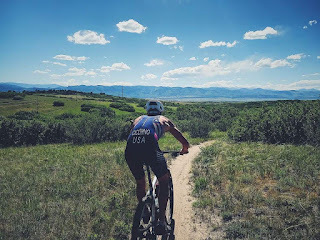 A large majority of them are off-road triathletes but I also have on-road athletes looking to make the jump from shorter distance races to the longer races. I offer online coaching for athletes and I have a group of local Denver athletes who I meet with 3-4x a week to coach workouts. Accelero’s mission is to accelerate you to your goals by using science proven methodology. My coaching philosophy is to always explain the “why” to athletes, I find educating athletes encourages them to trust the program and every coach wishes their athletes will “trust the process.” We are curious creatures and when we understand better we buy in more. WHEN DID YOU FIRST HEAR ABOUT SALMING AND SALMING RUNNING? 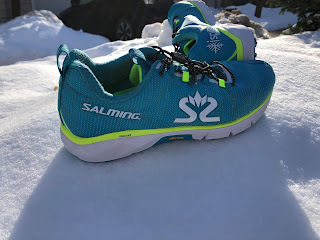 WHAT IS YOUR FAVORITE SALMING SHOE AND EQUIPMENT? I was fortunate and heard about them before they became available in the U.S. I’m a huge advocate for allowing the body to run naturally but most importantly using strength to help running. I found the Salming brand because of the running lab, they used it to identify muscular imbalances not to “prescribe” shoes. My time spent as a Sports Performance Specialist was working with running mechanics of athletes from U.S. Soccer players to NBA players and to amateurs young and old. 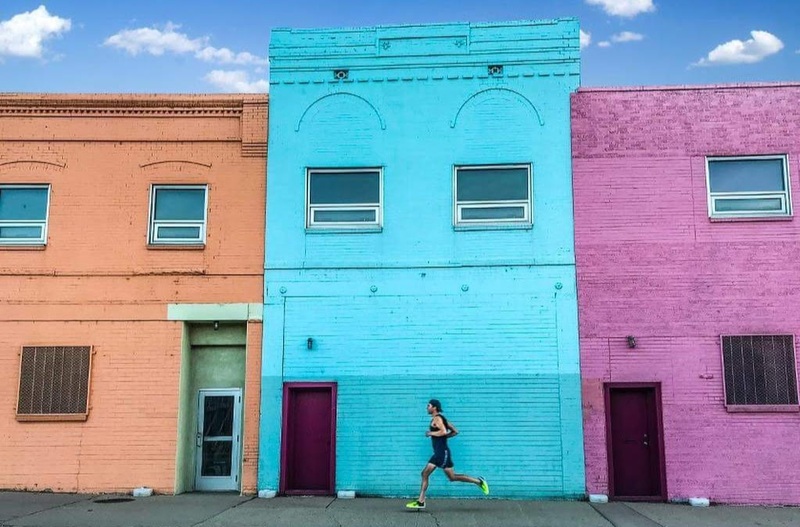 Running is necessary for all sports and it should be natural but our daily lives can inhibit that. My favorite shoes right now are the OT Comp’s, I just wore them for the second time for my race in Waco. The upper is so comfortable without socks and the bottom is super grippy allowing me to rip the trails without the fear of losing traction. DO YOU HAVE ANY OTHER SPONSORSHIPS? I’m rocking Xterra Wetsuits during my swims, and Goodr Glasses have been kind enough to give myself and the athletes I coach some sweet eyewear. I have a few brands I swear by but no endorsements from them yet so until then it’ll be a secret. To me this means gimmick free running. In my years of competing and running I’ve seen gimmicky brands rise and fall (injury related), but the ones who stay true to running stick around. I see Salming as a brand that educates it’s consumers and keeps their shoes #NoNonsense. I think OCR and off-road racers have exceptional kinesthetic awareness, you need this to be able to perform and train properly without injury. Salming educates their consumers how to run to mitigate injuries and what running should feel like. Naturally these two are a partnership primed to build exceptional athletes. I educate my athletes and those I train the importance of running properly. Part of this equation is the selection of footwear, if your footwear prevents your foot and leg from performing in the manner it was designed this could cause injury. I explain what Salming does and how their shoes fall into a well designed program.